One day, a farmer’s son accidentally steps on the tail of a serpent. 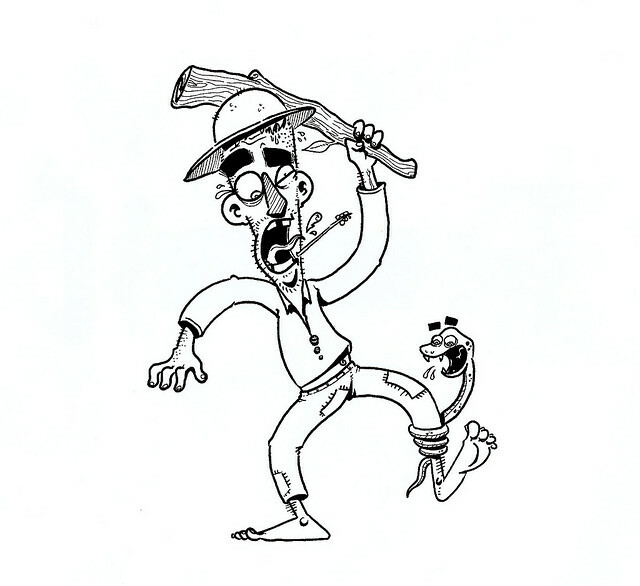 The serpent wants to protect itself so it bites the foot of the farmer’s son. The farmer’s son is poisoned through the serpent’s bites and he died. The farmer was very angry and he chopped off the tail of the serpent. The serpent wants to revenge so it went and bit several cows of that the farmer owned. This caused the farmer to lose many cattle livestock. The farmer decides that the best way to stop the serpent from doing any harm to him is to reconcile with it. You can forgive someone who hurt you but you can never forget what they had done to you.